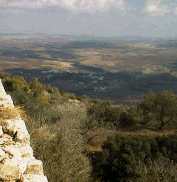 Luminous Mysteries of the Rosary :. Prayed on Thursdays. Could also be prayed on feastdays pertaining to each mystery (i.e. The Feast of the Baptism of The Lord or The Feast of the Transfiguration). 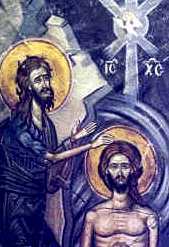 Imagine Jesus wading out into the Jordan River, to be baptized by his cousin, John. 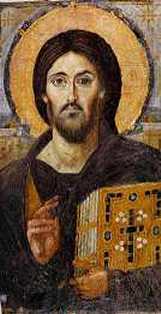 This mystery commemorates the inauguration of Jesus' public ministry. That we may be faithful to the Gospel. 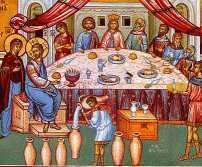 Imagine Jesus speaking to the servants at the wedding at Cana in Galilee, where he turns water into wine. This is the first public miracle that Jesus performed. Though they must have been baffled at His request, they heeded what his Mother had said, and did whatever He told them to do. Imagine following Jesus as He travels throughout the towns and cities Galilee in Judea, proclaiming the Good News of God's Kingdom and helping the poor, healing the sick and welcoming sinners, such as we. Hear with new ears the Gospel of Love. Imagine Jesus transformed in glory, His face and robes of shining light, as He converses familiarly with Moses and Elijah. His dear friends rejoice and fall to the ground in awe. Reflect on this as a mirror of spiritual experience. Imagine Jesus' conversation with the greatest of prophets and his tenderness towards His friends. For the grace to abide in darkness, knowing that the revelation of Christ in His glory is a gift, rather than something that we can do, bring about or earn. 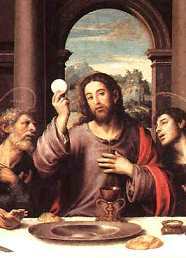 The Institution of the Holy Eucharist Imagine Jesus at supper with His friends in celebration of Passover, a Passover whose significance is truly know only to Him. Knowing He is about to suffer and die, and to be broken for them as a sacrifice, He institutes the Holy Eucharist. Reflect that in this way He enables us to share in His sacrifice, He unites Himself closely with us, He feeds us indeed, with "finest wheat".